Take the Manali-Rohtang Pass road. Drive by Kolang, Palchan, Kothi as you reach Gulaba, Base camp of the trek. Gulaba is 22 km from Manali. The trek to Gulaba starts from the 14th scissor bend on the right side of the road head. Trek steadily underneath forest cover, passing through open grasslands every now and then. This is Kolang Nallah. Here, a trail on the right ascends towards a ridge (from south east). As you climb up the ridge, pause to enjoy brilliant views of Manali and Solang Valley. From here, Raul Kholi is around 2 hours away. Bhrigu Lake rests between two high-altitude ridges. You’re currently hiking to the first ridge, which is an hour away. The trail slowly turns from green to brown and white. As you reach the ridge, look for an oval glacial lake in the distance. The lake surrounded by snow. You can catch a stunning panoramic view of Pir Pinjal and Dhauladhar ranges. Also, major peaks, Mt. Indrasen, Mt.Deo Tibba and Mt.Hanuman Tibba stand majestically before you. This is an old Kullu village with several native stories about Sage Bhrigu and the Pandavas. The village trail from here all the way to Vashisht is well-defined. The trek ends at Vashisht. Please book yourself with Advance payment of Rs. 5000/- pp (Non-refundable) … Deposit the amount on following account. (Land Slides, Floods etc. ), any accidents, medical evacuations, riots, strikes, evacuation costs etc. Extra and need to be borne by you. Please Note: All programs are subject to change without prior notice. Deciding to undertake the trip. Cancellation: If for some reason you wish to cancel your trek, an email intimation needs to be sent to shikharvedh@gmail.com Cancellation requests are not taken over phone. However, you can phone to check whether your cancellation has been processed. Cancellations prior to 90 days from the start of the trek — full refund. Cancellation between 89 days and 40 days to the start of the trek — 50% refund. Cancellation less than 39 days to the start of the trek — no refund. 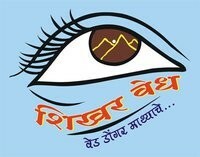 Note: If a trek is called off at the last moment due to a natural calamity/unforseen circumstances (like rains, earthquake, landslides, strike/bandh etc), SHIKHAR Vedh & our associate partner Shikharpar, Manali, Himachal Pradesh is not responsible and will not give any refund. Drop out during trek: If for some reason a participant has to drop out from the trek on any day then Shikharpar, Manali, Himachal Pradesh, will make arrangements for his/her return upto Manali. A staff will accompany the participant to the Manali. Manali transportation and stay cost at any location including Manali has to be borne by the participant. Last but most Important : Trip itinerary and Contact details left with friend or Home.